Masterplans: What is Mezzanine Financing and Is It Right for You? Most entrepreneurs know about the traditional types of funding: debt or equity. But did you know there’s something that combines the two? It’s broadly referred to as mezzanine financing. 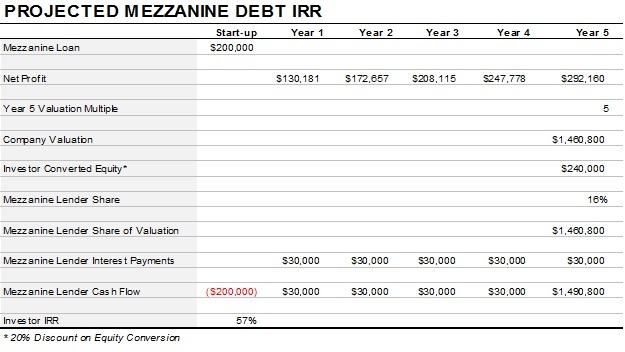 In this post, I’ll quickly review of debt and equity funding, then explain how mezzanine financing is a hybrid of both — and why it could be right for you and your company. Mezzanine financing is that middle ground between debt and equity funding, hence the term “mezzanine.” It combines some of the features described above, often considered a hybrid of the two. Real estate financing is a common example of mezzanine funding. Banks often only finance up to 40% of the project cost. The solution? A “gap loan” at a higher interest rate that can make up the difference! While the bank loan requires monthly payments, the mezzanine loan requires an annual interest-only payment with a lump sum payout at the end of the 5-year term. Another time that mezzanine financing might be wise is an acquisition in which the company’s assets aren’t enough to back the funding required. For example, let’s say you want to buy a company being offered for $1M. Based on the company’s assets, a bank would offer $600,000 in secured funding, and you, as the buyer, have $200,000, leaving a $200,000 shortfall. In this scenario, you could consider equity funding, but unless you can significantly increase earnings, the investor will want more equity than you would want to offer. In the scenario listed below, the $200,000 is raised via a convertible note. The terms of the convertible note are a 5-year term with an interest-only payment made at the end of each year. 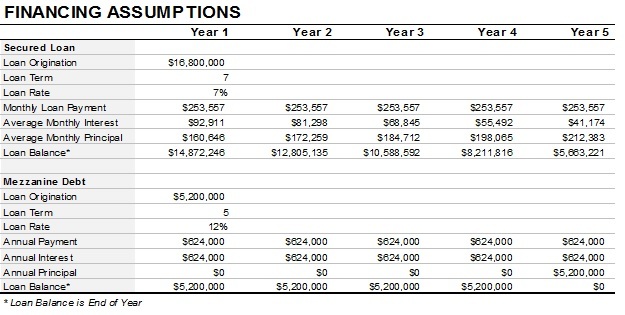 At the end of the term, the lender has an option to convert that debt into equity at a discount or request a lump sum payoff, as illustrated in the assumptions below. 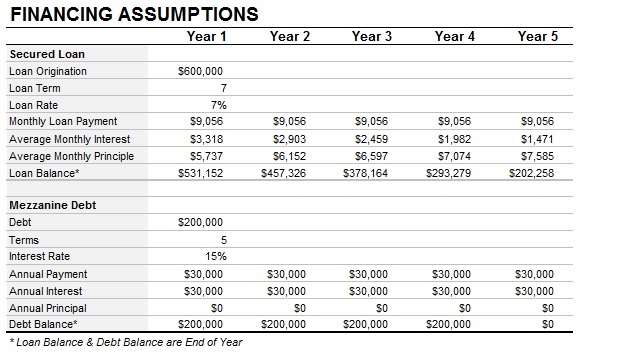 When converted to equity, the lender receives a 20% discount, meaning the $200,000 is the equivalent of $240,000. As shown, the $240,000 is worth 16% equity in the company. On the balance sheet, the long-term liability moves to paid-in capital, but at $200,000 (the $40,000 extra is used for value only). Does mezzanine financing make a little more sense now? 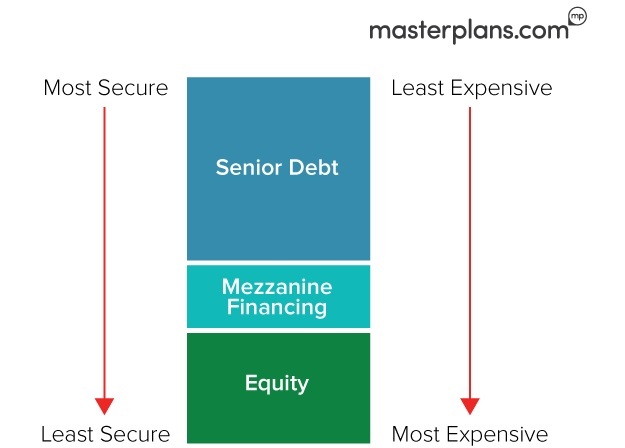 While we at Masterplans don’t offer financing, we do create financial models for clients as part of our world-class business plans, and we’re always happy to talk to you about mezzanine financing – or debt and/or equity financing. Get in touch today! Ben Worsley is a financial modeler at Masterplans.